Sooooooo, let me start by saying I’m sorry if this one sounds like I’m on my soapbox, but it is from a speech I recently gave while sitting on a panel for a symposium titled “Environmental Ethics”. I was basically asked to get on my soapbox. On this panel were two philosophers, a psychologist, a biologist, and a geologist. I have adapted that talk here for the purposes of a blog post rather than a speech. I hope it translates well, and I hope if you have any thoughts or comments you will be so inclined to share below. Original presentation date: April 19, 2017. 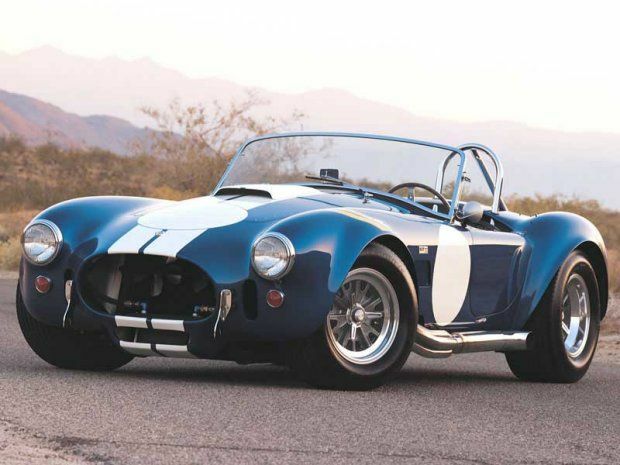 The Ford Shelby Cobra 427, arguably the single coolest car to have ever existed, in fact there were only 348 ever built, and only 309 of them still exist today. If you have an interest in owning one of these cars it may be useful to know that the most recent purchase went for over 5 million dollars. I’m from the motor city, Detroit Michigan, and people in Michigan live and breathe cars, motors, gas and tires. Personally, I don’t really know anything about cars, and really don’t care about them at all. If someone would have pulled up next to me in a Shelby Cobra before I began work on this presentation I would not have batted an eye. In fact I may have teased them about compensating for something they lack in other areas? And so I bring this beauty of a car up to talk about a scene from an old film where there was a discussion about someone keying a car. If you are wondering what keying is, it’s when someone takes a key and puts a scratch into the paint job of a car. I guess someone may do this because they think it’s fun or perhaps for revenge, who really knows. So the film I’m referencing is the 1994 classic Pulp Fiction. I debated showing you the clip, but it took place during a heroin deal, in which the profanity may have outnumbered all other words in the dialogue, and I didn’t want to offend anyone’s sensitivities, so rather than show it to you allow me to read the transcript. Now that I’m in blog mode, I’ll give you the option to do what you will with your own sensibilities…you can watch the scene here if you prefer not to go with my G-Rated amendment of the dialogue. Vincent: Aw, man. You know what some f***er did the other day? Lance: Oh, man, that’s f***ed up. Vincent: Tell me about it. I had it in storage for three years, it was out for five days and some d***less piece of s*** f***ed with it. Lance: They should be f***ing killed. No trial, no jury, straight to execution. Vincent: Boy, I wish I could’ve caught him doing it. I’d have given anything to catch that a**hole doing it. It’d been worth him doing it just so I could’ve caught him doing it. Vincent: What’s more chicken s*** than f***ing with a man’s automobile? I mean, don’t f*** with another man’s vehicle. Lance: You don’t do it. Vincent: It’s just against the rules. Really Vincent, which rules, I mean maybe my admitted ignorance about cars moved me to miss some normative code about why it is so wrong to f*** with another person’s vehicle. But…the more I looked into cars like the Shelby Cobra, I realized that this is a rare feat of human ingenuity, this is one of the first cars to ever break the 0-100-0 in under 25 test, that is 0 to 100 back to 0 in 25 seconds or less. At the time it was thought impossible to put a motor that big into a car that small, and the design itself to eliminate wind drag is really a thing of beauty…and so after learning just a little about cars in general , and the Cobra specifically, I’m moved, I still don’t really care about cars, but I get it…don’t F*** with someone’s automobile, it’s a chicken s*** move. You might be asking yourself ‘what does defending the automobile industry have to do with environmental ethics?’ Well, I think there is a lesson to be gleamed here. I often wonder why it is that people just don’t seem to care. Why it is that people just aren’t moved by what I see as compelling moral arguments against eating meat, or for sustainability, and a move to renewable energy, why is it that people deface prehistoric pieces of nature for self-serving interests or wanton disregard. I think a lot about why people aren’t moved by arguments which I find compelling, and I think the reason some people aren’t moved is because they just see things differently. Just like it took me seeing cars in a different light to appreciate them. For some, seeing nature in a different light may be the only way to evoke a sense of obligation. There’s a writer named John Burroughs who tried to illuminate this point in a paper he published in the 1880’s called The Art of Seeing. It’s a great paper and I strongly recommend it, and it’s from this paper that I want to make and expand on a few of Burroughs points. How does one awaken another to be moved…the short answer is to teach them to see from a different perspective. There are too many who look at nature as a commodity that is here for our purposes, to be used as we see fit. I hold that looking at nature from that point of view is shortsighted and potentially disastrous. Which pushes me to conclude that seeing nature from a different perspective is the most direct way in which to ignite change. Some are born with an eye to see, and Burroughs gives an example of this referring to a correspondent at a dinner party and the little details he notices. Burroughs wondered how many people in that vast assembly made that observation…probably very few. This according to Burroughs denoted a great gift for seeing. But, how are we to view nature? How are we to see nature from a different aspect? To respond to that question I want to turn to an example from the perspective altering cocktail known as Love. Let me share a short story. My first real love goes back to my freshman year of college. I fell for a girl named Erin, she was cute, and smart and funny, she also had pink hair, and was kind of a smartass (oops, I mean smart a…). The first time she met my mom was a disaster. I remember she wore a shirt that said “baby” with an arrow pointing down to her abdomen. Needless to say, my mom was a little put back, not necessarily because of Erin’s style, but because of this shirt…I had no idea what that shirt was actually saying, I honestly thought she was referring to herself as a baby, I didn’t know it was a pregnancy announcement shirt, or I would have certainly run some sort of interference (let me make clear that Erin wasn’t actually pregnant, it was just some expression of irony). My mom didn’t like Erin, but I did, I really loved her. I saw Erin in a different way, as loved ones often do, I saw things in Erin that perhaps no one else saw, I saw things in Erin that my mom most assuredly didn’t see. But as time went on my mom got to know Erin a little better, and see how bright she was, and understand her ironic sense of humor, and after awhile, that first impression started to diminish. Eventually she began to see the person that I had seen, and in seeing Erin a little differently she began to appreciate her in ways that were similar to the way I had appreciated her. When we appreciate something, that is, when we admit that we love some thing, we begin to have a sense of obligation toward that thing. In the end, I think my break up with Erin was harder on my mom than it was on me? Love seems to coincide with noticing the little things, and in that way, loving something is very similar to reading a book. Anyone can read the words on a page, but how many of us truly notice the page, the details, the meanings of each and every word, the articulation of every syllable, as well as the meaning our own interaction adds to the page. There is always deeper meaning when we take time out to really notice what is written, and nature itself is perhaps the most complex and beautiful book of all. When most people look around, they don’t see anything they did not come out to see, when we walk to our cars we notice the sidewalk, and the pedestrians, and the traffic in the parking lot. And while all our focus is on our destination we miss all the fine details spelled out on the page, just waiting to be read. The bluebird’s clandestine perch just feet away, the dayflowers veiled push toward the direction of the sun, and even the earthworms surreptitious wiggle through the grass to its covert underworld. The pages of nature are all around us, each and every word is directly in front of us, and for the most part this ancient story goes unread. The Book of nature is hard to read, and only the lovers stick around long enough to read the footnotes, but make no mistake, its paying attention to the details that can turn the observer into the lover. Like any relationship we must meet the object of our love half way, is it really love in which one partner only takes and the other only gives, is it really love in which one partner only speaks and the other only listens. Love is a two way street, there is both give and take. We are all in a relationship with the book of nature, and it’s unfortunate that most tend to keep this book on the shelf, or if we happen to glance at the pages it’s to see how we can gain from nature rather than how nature can gain from us. It is my contention that if we can get others to take a peek, read some of the lines, and maybe take a look at the footnotes, then the seeds of love will be sown, and the obligations that follow can be harvested. To consolidate my point I’ll offer a short summary. I often wonder why so few people are moved by persuasive moral and aesthetic arguments, and so, I recommend an allegiance with nature, something akin to stewardship rather than ownership. I think along with Burroughs that a failure to be moved stems from a failure to see. If then we can promote and arouse a different way seeing, what follows will be a deeper and more meaningful appreciation, similar to me with the Cobra, or my mom with Erin. Finally, from this appreciation a new sense of obligation arises, one that fosters protection and synthesis rather than subjugation and division. “But nothing can take the place of love. Love is the measure of life: only so far as we love do we really live. The variety of our interests, the width of our sympathies, the susceptibilities of our hearts—if these do not measure our lives, what does? As the years go by, we are all of us more or less subject to two dangers, the danger of petrifaction and the danger of putrefaction; either that we shall become hard and callous, crusted over with customs and conventions till no new ray of light or of joy can reach us, or that we shall become lax and disorganized, losing our grip upon the real and vital sources of happiness and power. Now, there is no preservative and antiseptic, nothing that keeps one’s heart young, like love, like sympathy, like giving one’s self with enthusiasm to some worthy thing or cause. I am now off my soapbox…thank you for reading. Next Post Cut and Climb! Mother Nature is our Goddess. Let’s treat her as such. That’s a great piece, thanks for sharing it. I often wonder how there can possibly be enough hours in a day just to see all the life and all the living of it that’s right there in front of me in a few square feet of lawn. I actually believe, having a background of sorts in biology, that it’s adaptive for us to make the effort to really see and try to internalise the natural world in its complexity, because this is exactly what our massive brains evolved to do, the acquisition, articulation and oral transmission of that complexity facilitating our survival in preliterate human society. Modern humans have replaced nature’s complexity with simple, convenience myths (such as with apologies to commenter above, ‘mother nature’ and ‘goddesses’). Compared to the complexity we evolved to observe and internalise, these are junk food for our brains, and when we feed our brains maladaptive junk they get fat and stressed. I also feel that embracing complexity is the only way we will ever live together peacefully as diverse individuals in interdependent societies, and we can practice the necessary survival skills of dealing with complexity by dealing with nature.